Over in India, there are a handful of startups working to get the country’s billion-person population on bikes. One of them is Yulu, co-founded by Amit Gupta, who formerly co-founded profitable, billion-dollar startup InMobi. 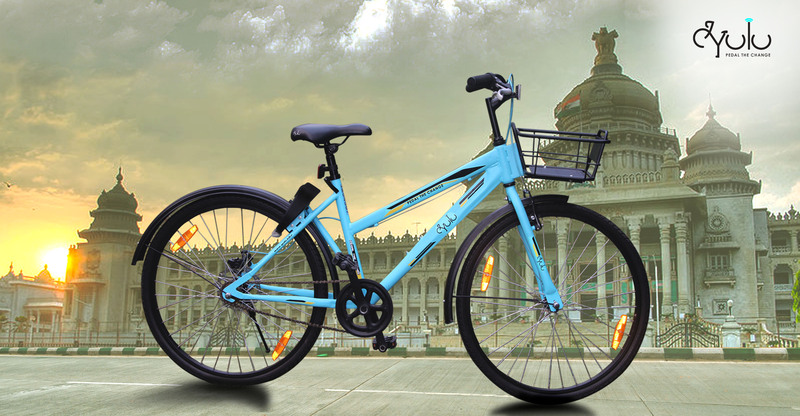 In the next three to four weeks, Yulu will launch its bike-sharing service in Bangalore with a few hundred bicycles. Yulu is starting with regular, dockless bicycles that people can rent using their iOS or Android phone. The bikes unlock via QR codes and bill the rider for every 30 minutes of use. In order to achieve scale, Yulu is working with local city governments in India to create more dedicated bike lanes as well as working with agencies to carve out places that are safe to park the bikes. Bike-sharing has become a hot space for founders and VCs alike. In China, companies Ofo and Mobike have both achieved unicorn status for their respective bike-sharing startups. Over in the U.S., investors have poured in $62 million to LimeBike and $8 million into Spin as both startups aim to compete against Motivate, the company behind Ford’s GoBikes in San Francisco and CitiBikes in New York City. Meanwhile, startup Ola recently announced its entrance into the bike-sharing space with a pilot program in Faridabad. ZoomCar has recently done the same. A few things have happened in recent years that are making it possible for bike-sharing to become a reality in India, Gupta said. There are, for example, now 300 million people on smartphones with active data connections, more people getting on board with a cashless society and more emphasis on building smart cities, Gupta said. Yulu has a co-founding team of four people who have self-funded the startup with some help from friends and family. Yulu has enough capital to get it through the next six to nine months, but plans to raise money from institutional investors down the road. “We will start to talk to institutional investors once we understand our operating metrics and how demand and supply comes together,” Gupta said.